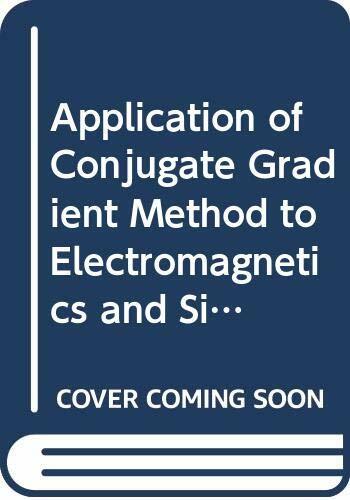 Progress in Electromagnetics Research 5, entitledApplication of Conjugate Gradient Method to Electromagnetics and Signal Analysis, addresses the conjugate gradient method with authoritative contributions from leading scientists in the field. The conjugate gradient method has been very popular for nonlinear optimization problems and is considered an efficient means of solving matrix equations. Recently, the method has been observed as advantageous for direct application to the solution of operator equations. This PIER volume provides a survey of how, when, why and where to apply the conjugate gradient method. Examples illustrate the classes of problems for which the method is most suited in the fields of electromagnetics and signal analysis. The book is appropriate for developing undergraduate research problems, as well as for a special topic course at the graduate level.